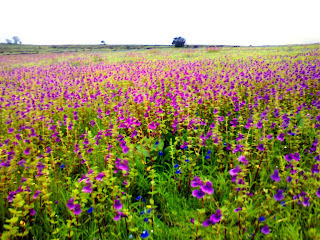 The Kass Plateau is situated in Western Ghats near Satara. 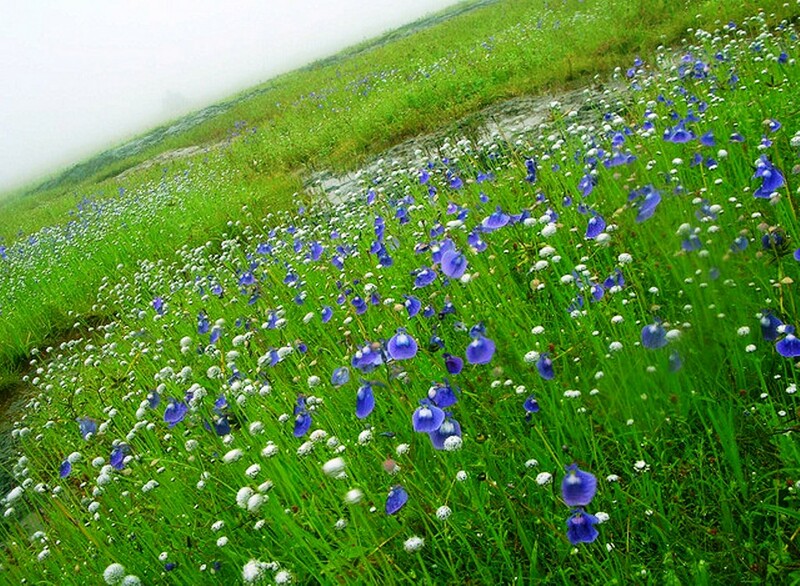 This plateau is well known for its unique biosphere, high hill plateaus and grasslands. 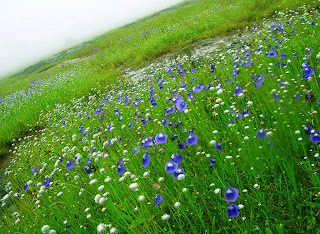 During monsoon season, especially in the month of August and start of september, the plateau comes to life, with picturesque view of various types flowers that carpet the floor of the plateau. 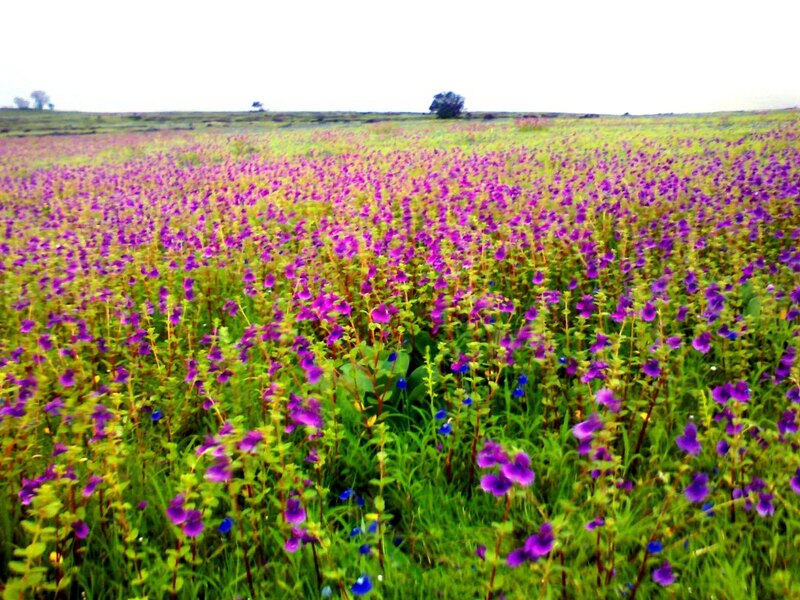 As per the Forest Department's Board at Kass Plateau, there are more than 150 or more types of flowers, shrubs and grasses found here. The orchids bloom here for a period of 3-4 weeks during this season. Many of the flowers and plants that grow here are carnivorous in nature i.e. insect eaters!! Towards the south of the Kas Plateau there is a wonderful lake, which is know as Kass Lake is just like a bowl carved out of the Sahyadri mountains. Further 30 Kms towards the south of Kass Lake are the backwaters of the Koyna Project. Apart from these there are number of other scenic places like caves, picnic spots, boating places, temples etc. which not only attract tourists from India, but also from other parts of the world. Getting there: ST and private buses run frequently between Mumbai and Satara but the journey time is a minimum 5 hours. If you take your own vehicle or a private taxi and leave Mumbai before 6am, you can make it in just over 3 hours via the Mumbai Pune Expressway and NH4. A third option is by train – the Koyna Express, though this is an unnecessarily long journey. Hotels range from cheap lodges near the bus station to mid range hotels suited for families, many located on the New Radhika Road; to business hotels.